I love the color and texture...I'm feeling tired just looking at these! hehe! it's always so hard to get out of bed in the morning when it's cold out ... and these certainly wouldn't help!! i really love the mustard/grey combination. dwell has such lovely designs! 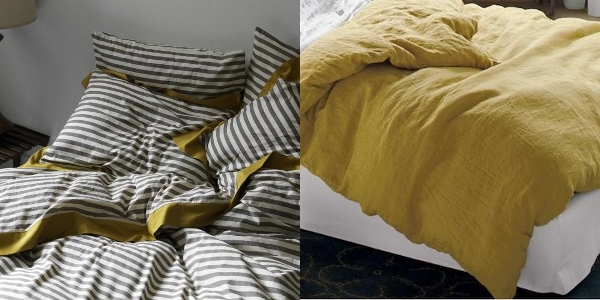 Oh I love this mustard colored bedding. Mustard color is so bold and at the same time very simple and it looks good with any other color.